I can describe the advancements in transportation and communication in the Gilded Age and explain how these advancements led to the industrialization of the United States. As the United States expanded westward, many new opportunities opened up. Unfortunately, to take advantage of these opportunities, the U.S. would have to solve some problems. The United States stretched across the entire North American continent. 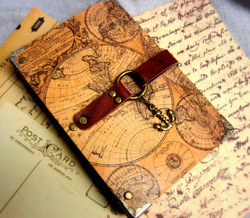 It took months to travel or to communicate by letter to the West from the East. How would they transport natural resources to industries? How would industries communicate with companies that mined or harvested natural resources? The East needed a way to travel and communicate with the West quicker if they wanted their businesses to survive. Communication is the process by which information is exchanged between individuals. Communication was very difficult before the Gilded Age. Even the Pony Express, which was the fastest mail service of the 1800s, took ten days to get a letter from Missouri to California on a good trip! How would the east communicate with the west about what natural resources they needed and how much they needed? How would family members on the west coast communicate with family members on the east coast? 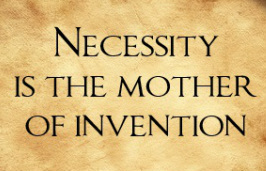 Remember the quote, Necessity is the Mother of Invention? Communication between the east and west was a necessity! This necessity brought into the world new inventions and innovations as a mother brings a child into the world. Inventions and innovations to improve communications between the east and the west began with Samuel Morse and the electric telegraph. Samuel Morse was interested in telegraphy, or sending electrical impulses over wires, in the early 1830s. He wanted to improve early telegraphs, which had been linked with multiple wires, to just a single wire. Although Samuel Morse did not invent the telegraph, he vastly improved earlier versions with his single-wire electric telegraph. The electric telegraph was a machine that sent a code of long and short pulses of electric current that represented different letters over a wire. The code became known as Morse code. To send a message, an operator pressed a switch, sending a signal, which sent an electric current along a wire to the receiving machine. The Western Union Telegraph Company was soon established and they strung wire on poles all across the nation. In 1866, the first Transatlantic Cable was installed. The Transatlantic Cable was a cable laid underwater in the Atlantic Ocean that allowed telegraph messages to be sent from North America to Europe. By 1902, telegraph wires encircled the earth, and the vast majority of people had access to a telegraph office and the ability to instantly send messages around the world. The telephone as you know, is a machine that uses wires and radio signals to send sounds over long distances. When telephones first came out, they required huge switch boards and many operators to transfer calls from one place to another. The phones had no way to dial different phone numbers because operators connected all the calls. Soon, a rotary device was added to phones so that a telephone number could be dialed. Areas then received phone numbers. Many areas or households would share one phone number. These were known as party lines. Eventually, more and more people bought telephones and Bell’s invention became a household item. Alexander Graham Bell began a telephone company called Bell Telephone Company. 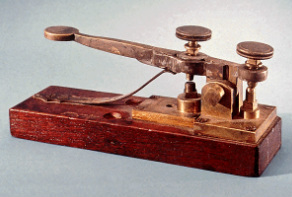 Today, you know this company as American Telephone and Telegraph Company or AT & T.
The telegraph and telephone vastly improved communications throughout the world. It changed how people thought about time and distance. They also paved the way for many other inventions and innovations in communications technology, such as the radio, television, cellular phone, and internet. Transportation is the the act or process of moving people or things from one place to another. Between 1800 and 1900, the way Americans moved changed drastically. In 1800, the only practical way to travel and trade across long distances was along the nation’s natural waterways. As a result, settlement clung to the nation’s coasts and rivers. A few roads connected major cities, but travel on them was difficult and time consuming. The nation was again confronted with new problems. How would the west get natural resources to the factories in the east to be processed into needed products? How would family members on the east coast travel to visit family members on the west coast? You guessed it! Necessity is the Mother of Invention. Transportation between the east and west was a necessity, just as communication between the east and west had been a necessity! No other single invention or innovation helped solve transportation problems more than the railroads. Before railroads, people could only travel in wagons or boats. Railroads made it possible to travel great distances much faster. Many small railroads developed connecting one city to another, but transportation from the east to the west by railroad was not possible until the Transcontinental Railroad was completed. The Transcontinental Railroad was the first railroad built that connected the east coast to the west coast. Two railroad companies worked together to build it. The Central Pacific Railroad started in San Francisco and the Union Pacific Railroad started in Omaha, Nebraska. Huge forces of immigrants, mainly Irish for the Union Pacific and Chinese for the Central Pacific, crossed mountains, dug tunnels and laid track. The two railroads met at Promontory Point, Utah, on May 10, 1869, and drove a last, golden spike into the completed railway. Railroads, especially the Transcontinental Railroad, made it possible to move raw materials in the west to factories in the east. Railroads also made it easier for people to move out west. Railroads changed the way people did business and travelled, but the railroads created another problem that needed to be solved - time. When national railways were built, local towns decided what time it was based on the sun, so the official time changed from city to city. This was a problem for trains that had to run on a schedule because the sun rises in the east and sets in the west. This causes it to be darker in the east before it gets darker in the west, even though it is the same time in both places. The nation solved the problem in 1883 by creating time zones. A time zone is a region that sets its time the same because it experiences the sun in the sky the same way. Time zones are the reason that at the exact same moment in time it is 8:00 A.M. in Birmingham, Alabama but 6:00 A.M. in Los Angeles, California. The Railroads were the key to solving transportation problems across the United States, but there is little doubt that the automobile is the most important invention in the history of transportation. The first automobile to be produced was the 1901 Curved Dash Oldsmobile, which was built by Ransom E. Olds. Though it was the first car produced, it was expensive and most people did not own a car. In 1908, Henry Ford came out with the Model T. Using new production methods, he was able to make the car significantly cheaper. More and more people began buying cars. By 1927, over 18 million Model T’s had been sold. Soon innovations in automobiles made them easier to drive, faster, safer, and fuel efficient. More and more roads were constructed making travel easier and more convenient. On December 17, 1903, two brothers, Orville and Wilbur Wright set out to test an invention they had been working on together. First, they hired someone to photograph the experiment. Then, Orville climbed into the machine. The machine rose on its own power, and carried Orville at an even speed to an altitude of 10 feet over a 120 foot stretch of land, then landed 12 seconds later. After making two longer flights that day, Orville and Wilbur Wright sent a telegram to their father, “Inform the press that manned flight had taken place.” This is the story of the first airplane flight! Soon, Charles Lindbergh would put the airplane’s ability to the test. On May 20, 1927, in his plane called, The Spirit of St. Louis, he flew the first successful non-stop flight over the Atlantic Ocean from New York to Paris. He had traveled 2,610 miles and it took him thirty-three and one-half hours. Eventually, airplanes came to hold hundreds of passengers flying all over the world. 1. What advancements led to U.S. Industrialization? When the U.S. government selected the two companies to build a transcontinental railroad in 1862, they did not have a meeting point set. The government simply paid money to each company for each mile of track it laid. This led to a difficult and dangerous seven-year race between the two railroad companies. The Central Pacific built started in the west in Sacramento, California and began laying tracks toward the east. The Union Pacific began in Council Bluffs, Iowa, and began laying tracks toward the west. Who was involved in the building of your railroad? What major cities and states did your railroad cross? What immigrant group was the largest group that constructed your railroad? What hardships were faced in building your railroad? What was life like for those who worked on the railroad? Did your railroad lay more or less track than the other railroad? Why? Where did you stop laying track? Why? How will the transcontinental railroad change life for everyone in America? When each pair has completed their interactive adventure, your small group will get back together to teach the each other what you learned. 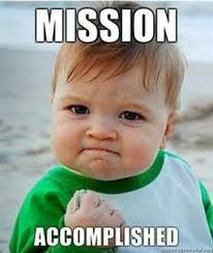 We will go over all that you found in a whole group discussion to complete this activity. What advancements were made in transportation and communication during the Gilded Age and how did these advancements led to the industrialization of the United States? Lesson Mission: I can describe the advancements in transportation and communication in the Gilded Age and explain how these advancements led to industrialization of the United States. The advancements in transportation and communication in the Gilded Age were ____________________________________________________________________________________________________________________________________________________________________________ These advancements led to the industrialization of the United States because because__________________________________________________________________________________________________________________________________________________________________. You have completed the Lesson 3 Lesson Module!